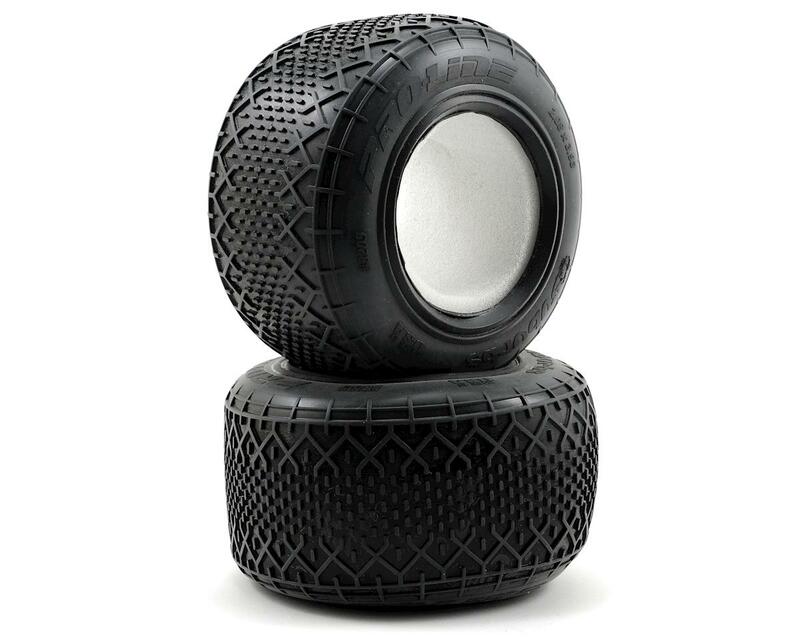 This is a set of two Pro-Line Suburbs T 2.2" 1/10 Off-Road Truck Tires. The 2008 ROAR National Champion tread and compound is now available for 1:10 truck owners. At the 2008 ROAR 1:10 Off-Road Nationals, Ryan Cavalieri dominated the 2wd Mod Buggy class with the Suburbs. He TQ'd and took the 2 out of the 3 A-mains to win the class. 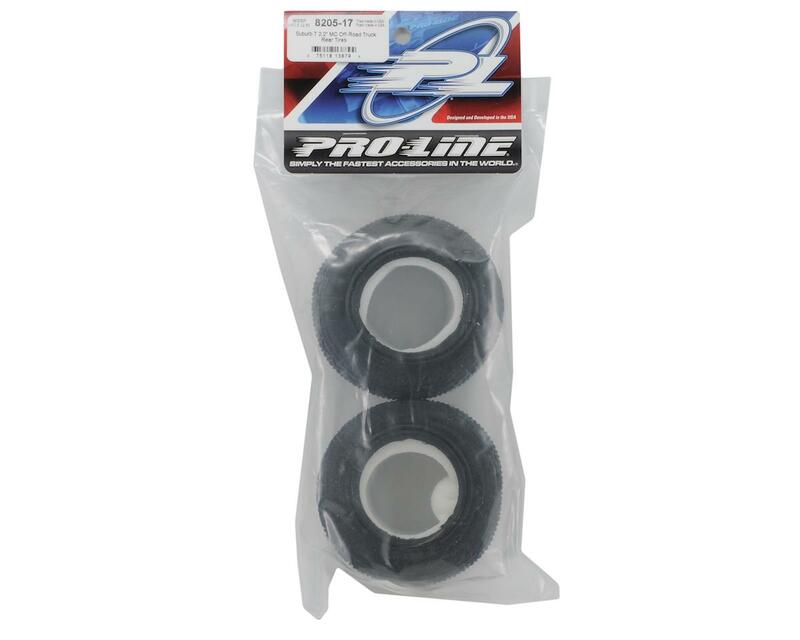 The Suburbs are fast enough to be National Champs, now you too can have the same performance Ryan had right out of the bag for your truck.